Stainless Steel P-Trap, 6000 Series with Anchor tabs and a 150lb Bolt Flange. 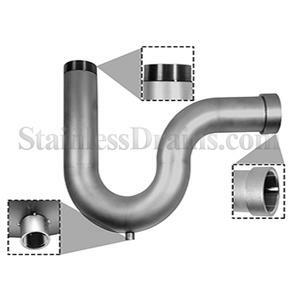 StainlessDrains.com’s P-Traps are constructed out of 304 or 316 Stainless Steel and are corrosion resistant. Highly recommended in lieu of traditional cast iron or plastic P-Traps. Stainless Steel P-Traps will outlast the building. Stainless Steel P-Trap 6000 Series with a 150lb Bolt Flange. 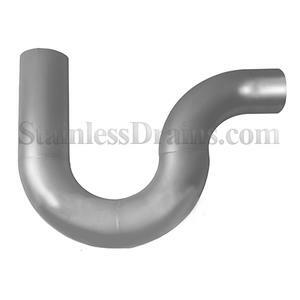 StainlessDrains.com’s P-Traps are constructed out of 304 or 316 Stainless Steel and are corrosion resistant. Highly recommended in lieu of traditional cast iron or plastic P-Traps. Stainless Steel P-Traps will outlast the building. Stainless Steel 1/2" Trap Primer Connection is available on all P-Traps. 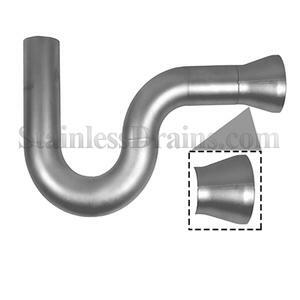 StainlessDrains.com’s P-Traps are constructed out of 304 or 316 Stainless Steel and are corrosion resistant. Highly recommended in lieu of traditional cast iron or plastic P-Traps. Stainless Steel P-Traps will outlast the building. Stainless Steel P-Trap with male threaded outlet, female threaded coupling and 1/2" Trap Primer Connection. 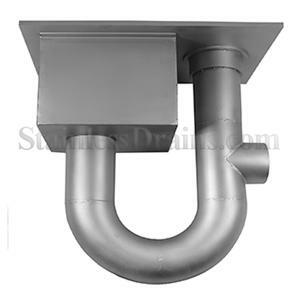 StainlessDrains.com’s P-Traps are constructed out of 304 or 316 Stainless Steel and are corrosion resistant. Highly recommended in lieu of traditional cast iron or plastic P-Traps. Stainless Steel P-Traps will outlast the building. 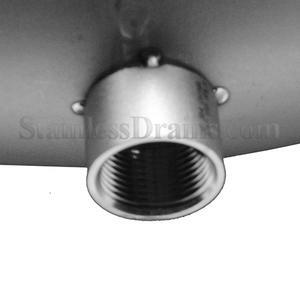 StainlessDrains.com’s P-Traps are constructed out of 304 or 316 Stainless Steel and are corrosion resistant. Highly recommended in lieu of traditional cast iron or plastic P-Traps. Stainless Steel P-Traps will outlast the building. 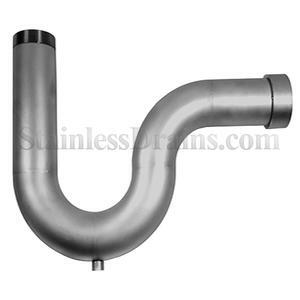 StainlessDrains.com’s P-Traps are constructed out of 304 or 316 Stainless Steel and are corrosion resistant. Highly recommended in lieu of traditional cast iron or plastic P-Traps. Stainless Steel P-Traps will outlast the building. Trap Drains are manifactured to capture debris and gases passing through drain systems to prevent clogging and maximize flow. 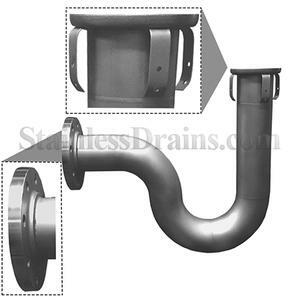 Using built in Cleanout and P-Traps are an intricate part of the drain assembly. All of which will meet the U.S. FDA standards and are corrosion resistant. P-Trap with a Concentric Reducer. 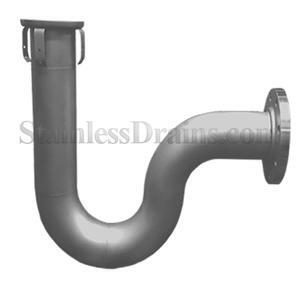 StainlessDrains.com’s P-Traps are constructed out of 304 or 316 Stainless Steel and are corrosion resistant. Highly recommended in lieu of traditional cast iron or plastic P-Traps. Stainless Steel P-Traps will outlast the building.